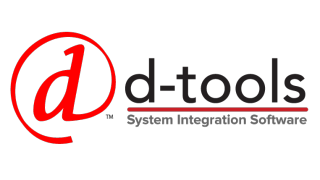 D-Tools has released the newest version of its System Integrator (SI) software platform, SI 2017. Building on the architecture of the System Integrator platform, including a robust cloud infrastructure, this major new release adds significant new capabilities and performance enhancements, in addition to system design and productivity improvements, that enable commercial and residential AV integrators to maximize the efficiency of their business processes. SI 2017 can now report vital information across multiple projects, providing executives with a powerful BI engine that delivers visual reports and dashboard views of key performance indicators. In addition to pre-configured BI reports, SI 2017 makes it easy to create custom visual reports to understand important elements of an integrator’s business. The D-Tools BI engine enables deep analysis of business activities and trends such as profit analysis, product usage, vendor engagement, personnel performance, and sales pipeline activity and results. SI 2017’s pre-configured dashboard views can be filtered by date range and viewed as a graph (bar, line, pie) or table. Predefined dashboards include reports such as sales by salesperson, sales pipeline by project stage, top products sold, and profit margin by system type, product category, project size, and more. Additionally, the new Dashboard Wizard allows users to create, edit, and clone dashboards to streamline the time required to create additional views. SI 2017 enables two types of dashboards: Summary (for grouped and summarized data) and Tabular (simple data table). The power and flexibility of the new BI engine are well suited for viewing the data needed to run the business in an informed and efficient manner. Coming in May 2017, the new Customer Portal, built on the D-Tools Cloud infrastructure, enables users to publish proposals, change orders, drawings, and other client-facing documents to the web for improved client engagement. Clients will be able to log into a secure web portal to review documentation, make comments, and accept or reject the documents presented. The D-Tools team has also made significant upgrades to the SI product catalog, drawing functionality, CRM interface, QuickBooks integration, and more. Product catalog enhancements include improvements to product information management, such as the ability to search across products to locate specific products for easy tracking and management of recalled or replaced equipment; labor discount management; and more robust CSV catalog export. Other product enhancements include improvements to contact and permission, payment management, new component ID options, the addition of CRM functionality to project wizards, and scheduling enhancements.